Rochester Hills, Michigan, is a city in Oakland County. It was named for the abundant hills in its region. Rochester Hills has a population of over 73,000 people. Over 54 percent of the adult population holds a post-secondary degree. It’s about 30 miles away from Detroit, and you can commute to the larger city by bus or vehicle. Rochester Hills is a place known for its parks and other green spaces. As a result, cycling is a favorite sport and source of transportation here. Speaking of cycling, this community is home to the state’s only outdoor Velodrome, which you can find at Bloomer Park. Hampton Village Center is where you can grab a meal, pick up groceries, and run other errands. It has famous chains like Red Lobster, Barnes and Noble, Five Below, and more. Yates Cider Mill has been in operation since 1876, making it one of Michigan’s oldest businesses. Besides cider, it offers foods like fudge, ice cream, and donuts, and it even provides fun activities like a petting zoo and a river walk. Wabash Park is a small, yet lovely park. This 3.7-acre green space contains a playground, a barbecue grill, picnic tables, and a community garden for growing your own produce. Avon Nature Study Area is a place you can visit for work or recreation purposes. It’s filled with many species of wild animals, nature trails, and a pond. Schools in Rochester Hills are operated by the Avondale School District and the Rochester Community Schools District. Adult students can attend Oakland University or Rochester College. 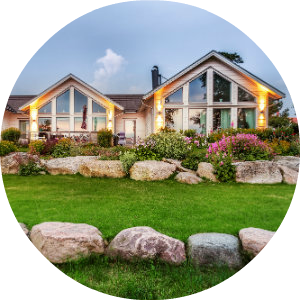 The real estate properties in Rochester Hills are made up of mobile homes, apartments, single-family dwellings, and townhouses. 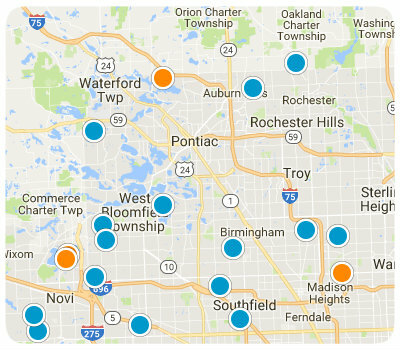 The homes in Rochester Hills have an average of three to four bedrooms. Most residences here were built during the years 1970-1999, so they’re relatively young but well-established. You’ll love making Rochester Hills your new hometown. It’s a friendly, vibrant community with excellent schools, a low crime rate, a robust economy, and plenty of hills and parks. 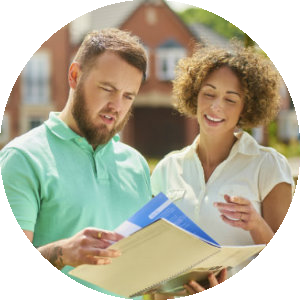 If you have questions about homes for sale in Rochester Hills, Michigan, please reach out to us, and allow us to help you.